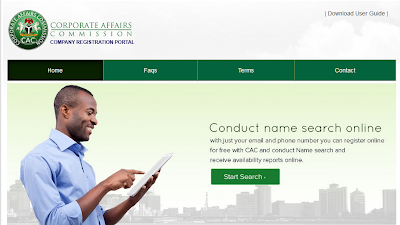 On Monday 6th of March, 2017, the Corporate Affairs Commission (CAC) launched a 24-hour online company registration platform to fast track its business services to its customers. Dr Olusegun Aganga, the Minister of Industry, Trade and Investment, said that the new online registration portal was developed by CAC to make registration of business in Nigeria easy and accessible to its clients. “Nigerians will no longer have to incur extra costs and will not travel to the CAC’s office to register their businesses,’’ Aganga said. Mr Aganga equally added that it was a joint initiative with the Federal Ministry of Communications Technology under Government Service Portal initiative. In a further explanation, he disclosed that the portal was robust enough to accommodate all platforms such as inter-switch, e- transaction and visa card. Others include Verve card, American express and other forms of electronic payments. Aganga explained that any person that wanted to register his business would now do so easily in any part of the world without physically coming to CAC. This is to inform our customers and the general public that they can now scan, and upload their incorporation documents for processing through our document upload interface available on the Commission’s website starting from Monday 6th March 2017. The Commission will approve the application on the strength of the scanned documents print registration certificate certify the MEMART and Form CAC 1.1. The original documents will now be submitted by customers at the point of collection of the certificate of registration and the certified true copies of the incorporation document.. Please note that the Commission must be satisfied that the original documents are the same with the copies already scanned before releasing the Certificate of registration and the CTCs.